"Sec. 8. Review: Decisions by the Secretary pursuant to the authority of this Act are non-reviewable and committed to agency discretion, and may not be reviewed by any court of law or any administrative agency." Take a moment to re-read that. This new LAW would make the Secretary of the Treasury ABOVE THE LAW. So, this bill is being sold to us, the taxpayer, as a design to protect the American public. Ask yourself, if this new law is so helpful to the American taxpayer, why are we not allowed to review the decisions being made with OUR tax-money? Why aren't courts or oversight committees allowed to see what exactly it is he will be doing? Here is what the bill doesn't do: It doesn't include anything to actually help those whose homes are in foreclosure, or about to be in foreclosure. 1) Creates a NEW TAXPAYER FUNDED account, called the "RTC." 5) With this law, the secretary will decide how much of your money he will pay for bad loans, regardless of the true market value. To make this crystal clear: this account will be used to take YOUR money, and with that -- YOUR MONEY--PURCHASE the very liabilities that Wall Street can't sell to any other business or country. And why can't they sell them? It's simple: they are worthless! We are told that this bill is the lesser of two evils. So, if this is the lesser, what is the greater? The greater "evil" is allowing free markets to work as designed! In a free market, these companies would fail. They made risky bets that blew-up, and now they are weak. From the ashes, new stronger companies would emerge to fill the void. Yes, it would hurt for a while – but that is the nature of a free-market. This bill spits in the face of the very foundation on which our great country was built. It is designed to bail-out bankrupt institutions that ruined the fiscal health of the country! Furthermore, after these people – THE richest in the world – get our money, will they pay any additional personal tax to offset the massive burden they are placing on the system? Once again, the "lower classes" will be lining the pockets of the uber class. What is maddening about this situation is that the U.S.A already had rules and regulations in place – rules created because of the Great Depression – to prevent this from happening again. So why is this happening again? Because the people you elected turned a blind eye and chose not to enforce the law while everyone was making a killing. As a good example of this, you may have heard recently in the news, is how the SEC is "banning illegal naked short selling" in the market place. Well, here's a news flash – Naked Short Selling has always been ILLEGAL. Why are you placing a ban on something you are supposed to ARREST people for? Clearly, these people are not representing your interests. I can practically hear you now, "Since when do they represent my interests?" They weren't thinking about you when they collected $100s of millions from lobbyists. They weren't thinking about you while Wall Street speculated with the money you placed in their bank accounts and spun it into trillions. They weren't thinking about you when they paid JP Morgan $30 billion (of your money) to buy Bear Sterns, or another $85 billion (of YOUR money) to buy 80% of AIG They weren't thinking about you when, all this time, they told you that this problem was contained. And so, I ask you today – what makes you think that they are thinking about you now? 1) This new Law places Secretary Paulsen above the law; "Decisions… non-reviewable … agency discretion …may NOT be reviewed by ANY COURT OF LAW OR ANY ADMINISTRATIVE AGENCY"
3) The U.S.A – the BASTION of "free market" capitalism – is utterly preventing, in any way it can, to allow the free market to actually WORK. If you think America is a free-market economy, stop that false belief right now. Even SOCIALIST GOVERNMENTS would not embark down this path of socialist "financialism"
So, what can we do at this point? First: Forward this email. No matter how embarrassed or worried you might feel about it, forward it to other Americans so they can at least be AWARE this is happening. If they get irritated with you, they are choosing to live in ignorance and hurt the country they live in. Second: Call your representatives. They are the people who are supposed to do YOUR bidding. Call them, make them justify this new Law. Don't believe them if they tell you, "this is the best we can do." RAISE HELL. This law is not good for you, it will not prevent a crash, it will not cause home value to suddenly turn around. 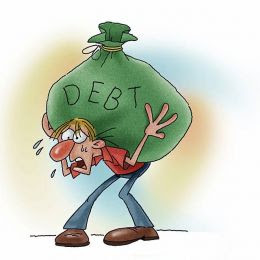 It will cause a short term rally in the stock market, it will allow rich bankers to off-load bad debts, and it will allow Wall Street to recover catastrophic stock losses while the big money sells into the rally (while they work hard to convince you to leave your 401K invested). I can assure you this: if this law passes, America will fundamentally turn its back on the very premise on which our country was founded: Free-Market Capitalism. The markets will correct regardless of any action the government attempts to make. It is unavoidable. Nothing goes "up" forever, and we all recognize this. This will only delay the inevitable. That is, of course, the point, to delay the damage until a new administration has to deal with the fallout. If this bill is allowed to pass, you can say goodbye to a capitalist free market. It will no longer exist. Oh, the Commercial and Investment banks get to keep their profits, but THE AMERICAN PUBLIC PAYS FOR THEIR LOSSES. WASHINGTON (Reuters) - U.S. Treasury Secretary Henry Paulson acknowledged on Sunday an emergency rescue plan aimed at stabilizing a financial system in freefall will cost taxpayers money, but argued that costs will not be as high the $700 billion limit of the package. "The taxpayer is at risk," he said on "Fox News Sunday" television program, but added, "It would be extraordinary circumstances, highly unlikely, that the cost will be anything like the amount you spend for the assets." SO WHY IS THE NATIONAL DEBT GOING TO BE INCREASED TO $11.315 TRILLION??? We wish the rescue initiative good fortune, however the problem was last reported by the BIS as one quadrillion, one thousand one hundred forty four trillion - a tad larger than $700 billion. Notional value becomes full value in bankruptcy. That is a simple fact. June 9 (Bloomberg) -- Trading in derivatives, led by short- term interest-rate futures, climbed 30 percent to a record $692 trillion in the first quarter, signaling a possible easing of tensions in the money markets, the Bank for International Settlements said. The increased trading ``suggests that liquidity conditions in the term money markets might have recovered to some extent after the stressful 2007 year-end,'' analysts Naohiko Baba, Patrick McGuire and Goetz von Peter wrote in the BIS's quarterly review. The gains were concentrated in derivatives denominated in U.S. dollars and euros, which had undergone a ``significant retreat'' in the prior quarter, they wrote. Banks were still pressed for cash, according to another part of the report. Turnover in futures and options on three-month Eurodollar deposit rates ``picked up sharply'' in the period, extending a rise from the previous quarter, said the BIS, a global organization formed in 1930 that monitors financial markets and serves as a bank for central banks. This appears to imply there were expectations that interbank strains ``were likely to remain severe well into the future,'' Fender and Hordahl wrote. Trading in stock index futures and options fell 2.7 percent to $73 trillion in the fourth quarter, compared with $75 trillion in the prior quarter, according to BIS analysts Baba, McGuire and von Peter. Trading rose 22 percent versus the same period a year earlier. The Standard & Poor's 500 index declined 9.9 percent in the three months to March 31. The Dow Jones Stoxx 600 Index in Europe dropped 16 percent during the same period. Global trading in commodity derivatives grew by 52 percent to 489 million contracts in the first quarter from the year-ago period. The BIS said notional figures weren't available. Agricultural and energy products led the climb, it said. Commodity trading data is not included in the BIS's aggregate derivative figures. Trading in derivatives not listed on exchanges increased during the second half of 2007, led by growth in the credit segment ``due possibly to heightened demand for hedging credit exposure,'' the BIS said. Credit-default swaps, which make up the majority of credit derivatives, are financial instruments investors use to speculate on the ability of companies to repay debt or hedge against the risk they won't. See p. 43-44 of the pdf of the Report on Strengthening Financial Systems. p. 41 of the pdf of the Report on Strengthening Financial Systems. I doubt the Treasury’s recent guarantee of money market funds fully meets this criteria; very large investors in money market funds now have more protection than many depositors in banks. The US doesn’t seem to have been fully prepared for the contingency that the bankruptcy of a large investment bank would lead to a huge rise in the banks’ cost of funds and a run on money market funds — a key source of financing for the shadow financial system. See p. 8 of the pdf the Report on International Financial Crises. These are difficult — and, as Secretary Paulson noted, humbling — times for the United States. But that doesn’t mean that existing equity investors in the financial system necessarily have to see their investment protected when the government injects additional funds into the system. Full disclosure: I was part of the secretariat that helped to draft the Report on International Financial Crises, a working group the United States chaired. It was my first significant job at the US Treasury. market where most of the funds would have to be raised. 41 times the assets of banks on the FDIC’s list. 4. Get a better handle on the enormous build-up of derivatives held by U.S.
likely to go bad in a continuing recession. illusion that the market for U.S. government securities can absorb the additional burden of a $700 billion bailout without putting dramatic upward pressure on U.S. interest rates. aggravating the very debt crisis that the bailout plan seeks to alleviate. possible, focusing primarily on our recommendation #4 below. the financial system that the government is not able to address. guarantee associations that cover insurance policies. Underlying this political pressure is a sense that the financial class, people who run global financial institutions, have failed to behave responsibly and effectively, and have therefore lost their legitimacy. The expectation, reasonable or not, is that the political system will now supplant these managers and impose at least a temporary solution. The finance ministers therefore have a political mandate, almost global in scope, to act decisively. The question is what they will do? That question then divides further into two parts. The first is whether they will try to craft a single, global, integrated solution. The second is the degree to which they will take control of the financial system — and inter-financial institution lending in particular. (A primary reason for the credit crunch is that banks are currently afraid to lend — even to each other.) Thus far, attempts at solutions on the whole have been national rather than international. In addition, they have been built around incentivizing certain action and increasing the available money in the system. So far, this hasn’t worked. FT.com: "This is a Crash"
The Dow Jones Industrial Average fell as low as 7,882.51 and rose as high as 8,901.28 before closing down 1.5 per cent at 8,451.19. For the week, its 18.2 per cent fall was the worst ever. Policymakers from the Group of Seven nations said they would take “urgent and exceptional action” to stem the financial crisis, though stopped short of adopting a specific and uniform set of policies that would individually bind all its member countries. The GDP report was horrible - Yeeeeeee Haw, was the response on Wall Street. Although it was very bad, it could have been worse, they said. 1) Final sales to domestic purchasers fell 1.8%, the largest decline in 17 years. 2) Consumer spending dropped 3.1%, the first decline in 17 years and the biggest drop in 28 years. 3) Business investment fell 1%. 4) Investments in homes fell for the 11th straight quarter. 5) Spending on nondurable goods fell 6.4%, the largest decline in 58 years. Non-durables? Yikes, that's some real retrenchment in spending. 6) Inflation-adjusted after-tax incomes fell 8.7%, the largest quarterly decline since the record-keeping began in 1947! However, incomes fell more during the Great Depression, so we got that goin' for us. 7) Government spending increased 5.8%, adding 1.2% points to growth. Of course, this was done with borrowed money. 8) Federal spending jumped 13.8%, including an 18.1% rise in defense spending, the biggest growth in five years. Of course, this was done with borrowed money. 9) Spending by state and local governments rose 1.4%. Of course, this was done with borrowed money. As you can plainly see, this data is horrifyingly bad. There is no way a sane person can read this and come to the conclusion that it's not so bad. Unfortunately, it has only just begun; it will get worse from here. As I have been saying for some time now, the government's money pumping will do nothing and this is proof positive. Much like the old saying - You can lead a horse to water but you can't make him drink - you can give money to a bank but you can't force it to lend. Moreover, you cannot force a consumer to borrow money. The consumer is broke. The country is broke. We need time to work off the debt, and nothing the government does will fix it any sooner than what would happen over its natural course of time. But that won't stop the morons in Washington and in the Federal Reserve from trying - oh no. The FDIC wants a new homeowner bailout of $600-billion! That's right, the prior several TRILLION wasn't good enough, so they want to piss away another $600-billion. The entire debt bubble was intentional since we refuse to save. One could argue that the government felt compelled to encourage the debt to keep the economy moving along. Now that said bubble has been pricked, however, we're getting screwed as taxpayers in an insipid and outrageous attempt to keep those who wrote all this bad paper from having to eat it. But it doesn't stop there either. The Fed is lending more money out to more foreign governments; Brazil , Singapore , South Korea , and Mexico . Each will receive $30-billion. Ain't that nice? The list of participants dependent on the Fed increases every day - literally. The Fed is not the lender of last resort in the USA , but is now the lender of only resort to Brazil , Mexico , South Korea , and Singapore - perhaps the world. When those loans are used up, what's next? More loans? Bigger loans? When will it end? Nov. 7 (Bloomberg) -- Bloomberg News asked a U.S. court today to force the Federal Reserve to disclose securities the central bank is accepting on behalf of American taxpayers as collateral for $1.5 trillion of loans to banks. ``The American taxpayer is entitled to know the risks, costs and methodology associated with the unprecedented government bailout of the U.S. financial industry,'' said Matthew Winkler, the editor-in-chief of Bloomberg News, a unit of New York-based Bloomberg LP, in an e-mail. Bloomberg News on May 21 asked the Fed to provide data on the collateral posted between April 4 and May 20. The central bank said on June 19 that it needed until July 3 to search out the documents and determine whether it would make them public. Bloomberg never received a formal response that would enable it to file an appeal. On Oct. 25, Bloomberg filed another request and has yet to receive a reply. The Fed staff planned to recommend that Bloomberg's request be denied under an exemption protecting ``confidential commercial information,'' according to Alison Thro, the Fed's FOIA Service Center senior counsel. The Fed in Washington has about 30 pages pertaining to the request, Thro said today before the filing of the suit. The bulk of the documents Bloomberg sought are at the Federal Reserve Bank of New York, which she said isn't subject to the freedom of information law. ``This type of information is considered highly sensitive, and it would remain so for some time in the future,'' Thro said. The Fed didn't give Bloomberg a formal response because ``it got caught in the vortex of the things going on here,'' said Michael O'Rourke, another member of the Fed's FOIA staff. Thro declined to comment on the lawsuit. To contact the reporter on this story: Mark Pittman in New York at mpittman@bloomberg.net. ``As a taxpayer, it is absolutely important that we know how they're lending money and who they're lending it to,'' said Lucy Dalglish, executive director of the Arlington, Virginia- based Reporters Committee for Freedom of the Press. The Fed's collateral ``absolutely should be made public,'' said Mark Cuban, an activist investor, the owner of the Dallas Mavericks professional basketball team and the creator of the Web site BailoutSleuth.com, which focuses on the secrecy shrouding the Fed's moves. Some podcasts from von Mises including "Who Killed the Constitution"
Inc., an independent research firm. Bank, downgraded from C- to D+. total assets in prior quarter. Sachs, HSBC Bank America and Citibank - taking especially large risks. factor of 42 to 1.
unacceptable damage to its own credit, credibility and borrowing power." by international investors to insure against a future default by the U.S.
price of the 30-year Treasury bonds has fallen by 24 points. preparation for an eventual recovery. Ma Bell breakup in 1984. Earnings, Liquidity and Sensitivity to market risk). attend by registering at http://images.moneyandmarkets.com/DSG-MED/. Huge multi million dollar Goldman Sachs stock gains on thousands of shares owned by the President of the NY Fed. This is a clear case of conflict of interest. Where is the SEC on this? How is it justifiable for a regulator of Goldman Sachs to be trading its stock. Friedman, in his role as PRESIDENT must have known detailed information on Goldman Sachs prospects. He clearly acted on insider information. No morals or ethics whatsoever! While the Fed was deciding whether or not to grant Friedman a waiver, he bought 37,300 Goldman shares on December 17, for an average price of $80.78, according to regulatory filings. On January 22, he bought 15,300 more shares for average prices of $66.19 and $67.12, according to filings with the U.S. Securities and Exchange Commission. The January purchase brought his total holdings to 98,600 shares. Goldman shares closed on Thursday at $133.73, meaning Friedman has profited handsomely, earning more than $3 million in total on the two purchases. Take a heart pill and watch these videos in the order below. SOMETHING WICKED THIS WAY COMES. Giant squid have migrated from deep waters to take residence in San Diego. 9. New forms of news dissemination not your old TV stations. Why did President Nixon take the US Dollar off the Gold Standard? It's a common myth promulgated by the propaganda ministry that the "dollar bill" (Federal Reserve Note) was "backed" by gold. The law says something entirely different.
" Federal reserve notes, to be issued at the discretion of the Board of Governors of the Federal Reserve System for the purpose of making advances to Federal reserve banks through the Federal reserve agents as hereinafter set forth and for no other purpose, are authorized. The said notes shall be OBLIGATIONS of the United States and shall be receivable by all national and member banks and Federal reserve banks and for all taxes, customs, and other public dues. They shall be redeemed in LAWFUL MONEY on demand at the Treasury Department of the United States, in the city of Washington, District of Columbia, or at any Federal Reserve bank." FRNs are obligations of the U.S. government to pay lawful money on demand. LAWFUL MONEY - "The terms 'lawful money' and 'lawful money of the United States' shall be construed to mean gold or silver coin of the United States..."
Title 12 United States Code, Sec. 152. Federal Reserve Notes are issued under the authority of Art 1 Sec 8 power to borrow on the credit of the United States. Article 1, Section 8. U.S. Constitution. But the notes were repudiated in House Joint Resolution 192, (June 1933). Congress will no longer guarantee the 'exchange rate' of the dollar (for each FRN). But the law still defines the national debt (in excess of 10 trillion dollars) in terms of gold. That computes to a sum of 500 billion ounces gold. Which is 100 times as much gold as is estimated to exist, above ground, in the world. Fort Knox depository has roughly 147.3 million ounces of gold bullion. And Congress cannot question the public debt because of the 14th amendment, even when it is insane. Amendment 14, Section 4. The validity of the public debt of the United States, authorized by law, ..., shall not be questioned. Since 1933, the U.S.A. has been under a perpetual "temporary" State of Emergency, first declared by FDR, and renewed by each sitting president, partisanship notwithstanding. The cause was bankruptcy to usurers (Federal Reserve Corporation). 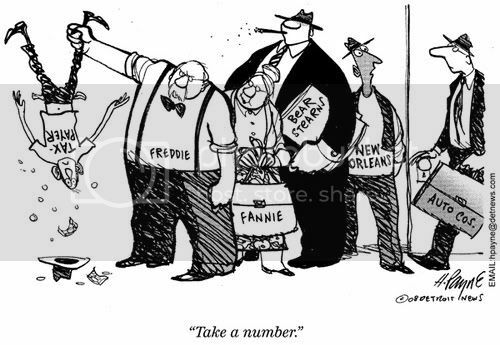 Since usury is mathematically impossible to pay in a finite money token system, one would hope that Congress would get up on its hind legs and repeal the Federal Reserve Act of 1913, amend / repeal the 14th amendment, and eradicate the public debt based on the fraud. Maybe even the president would end the State of Emergency, too! Don't hold your breath waiting for it to happen. The real power behind the president was and is the Secretary of Treasury, who is the paid employee of the World Bank and IMF. No president will ever oppose the wishes of the Bank, because we all know who protects the president - the Secret Service. And what branch do they work for? The Treasury, whose secretary shall not be paid by the U.S. government, Title 22 USC Sec. 286a.